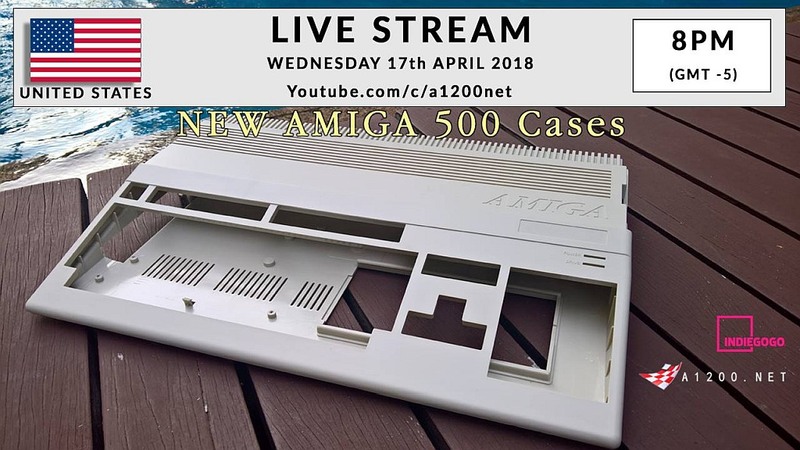 As many of you are aware, A1200.net are currently running a crowd funding campaign for new compatible Amiga 500 and A500+ cases to replace the current case you have at home, which by now has most likely gone yellow. Now unlike the previous campaign for new A1200 cases which did end up as a huge success, so far this one still has a long stretch to go with just $60,052 raised of a $155,000 goal. But read on as you'll see why there is still a chance of this campaign hitting its goal. Thankfully the team behind these new cases and accessory adaptations has given the crowd funding campaign a lick of paint (ahem) since its first announcement. As not only have new colours been announced, and special additions with the rather spectacular Scourge Of The Underkind collectors edition, but lately A1200.net have been running live streams across the globe to talk about the new case and productions, keycap status, AND other questions you may feel need to be asked. So yes, there still is a good chance of success and more so with each new live stream announced.